Actor, and writer Josh Wolf has become one of the most sought after personalities in comedy today. 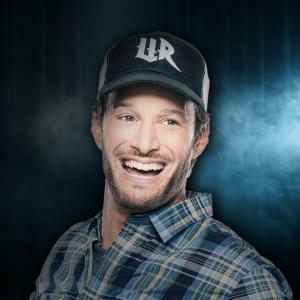 From adding his quick witted commentary on comedy round tables, to becoming a New York Times Bestselling Author, writing on hit television shows, and headlining stand-up comedy tours across the nation, Wolf has proved time and time again he is one of the most dynamic and multi-faceted comedians in the entertainment business. Wolf is currently a regular round table guest and writer on the hit E! series “Chelsea Lately,” and recently appeared as a performer on the new E! series “After Lately.” In March 2013, Wolf will debut his latest book, “It Takes Balls: Dating Single Moms and Other Confessions from an Unprepared Single Dad”. Funny and brutally honest, the book details Wolf’s adventures as a struggling stand up comedian, while juggling being a single parent in Los Angeles.